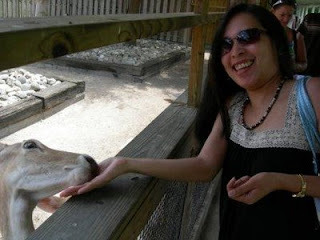 My husband and I had a free time the whole day going to Gatorland, - an adventure park which is also called "The Alligator Capital of the World". This park is close to the hotel we were at in Orlando, FL. This was one of a kind experience for us. 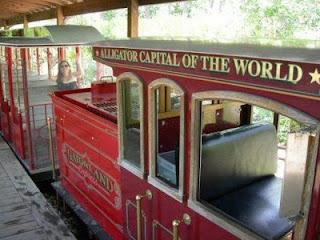 If you love to visit adventure theme parks and nature conservatory, ad if you love gators and some species of protected habitat, this place is for you...bring your little ones, they would enjoy it! There are so many things to see inside the park. For kids, there's the petting zoo and the splash water park for them to enjoy the fun. 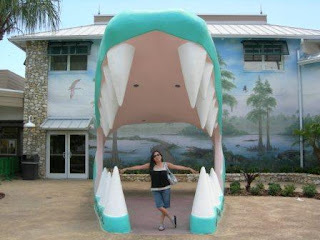 We tried the extreme encounters with the big gators with a photo opportunity. It was fun! 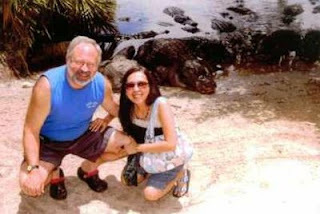 Thank God!...those gators were too full to chase us, LOL! Other adventure tours such as birding tours (close sight seeing of bird sanctuaries) can be done via train. 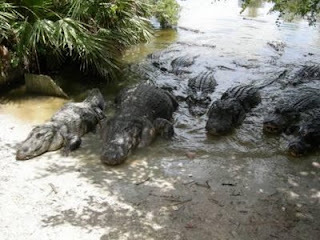 Do you want rookie wrestling with the gators as well? Go ahead...at your own risk! There's a $10 fee for the experience, and another additional fee for photo opportunity.